The U.S. Supreme Court is to hear arguments Tuesday in a closely-watched dispute between Samsung Electronics and Apple on the procedure for calculation of damages for the infringement of design patents. In general terms, a design patent protects the way an article looks, while utility patents address the way an article is used and works, according to the U.S. Patent and Trademark Office. Some older Samsung smartphones were found by a jury in 2012 to have infringed three design patents related to the look of the iPhone, including its face and rounded bezel design, and the icon layout on the home screen. Samsung is questioning an appeals court’s interpretation that it has to pay as damages all the profits from the sale of infringing products, claiming that the patented designs are only minor features of the product. A number of tech companies, trade groups and legal experts are supporting Samsung on this issue, as they hold that an adverse outcome could have implications on innovation. The interpretation of the relevant statute by the U.S. Court of Appeals for the Federal Circuit “effectively grants exclusive rights over a device covered by tens of thousands of utility patents, even though the ‘discovery’ covered by the patent-in-suit is an ornamental feature,” technology industry group Computer & Communications Industry Association (CCIA) wrote in a ‘friend-of-the-court’ brief in January. The relevant provision in this regard is a design patent damages statute, which states that any person, who without license from the owner of the design patent, "applies the patented design, or any colorable imitation thereof, to any article of manufacture for the purpose of sale," or "sells or exposes for sale any article of manufacture to which such design or colorable imitation has been applied shall be liable to the owner to the extent of his total profit, but not less than $250, recoverable in any United States district court having jurisdiction of the parties." Products were far simpler when design patent law was created in the 17th century, Samsung said in a commentary on the upcoming hearing. “It pertained to things like the handle of a spoon or a carpet pattern, which may have driven a purchase decision. By comparison, today, there are more than 200,000 patents in a single smartphone,” it added. CCIA wants the “article of manufacture” addressed in the statute, 35 U.S. Code § 289, to refer to the smallest article to which the patented design is applied, and not a larger device that includes the article as one of its components. “Were it not, a design patent covering a windshield for a boat could be liable for profits on the entire boat,” according to the CCIA filing. Apple has submitted to the court that Congress enacted the rule as it recognized that ‘it is the design that sells the article.’ As the profits that can be attributable to design are difficult to arrive at, it is expedient that the infringer’s entire profit on the article should be recoverable, as else none would be recovered, according to the filing. Allowing that the article of manufacture could be less than the total product as sold, Apple argues that Samsung failed to provide evidence supporting any outcome other than the jury’s conclusion that Samsung’s entire smartphones are the infringing articles of manufacture to which the patented designs were applied. 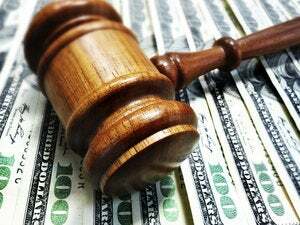 The South Korean company is questioning US$399 million in damages out of a total award of $930 million for infringement of both utility and design patents. The Supreme Court partially granted Samsung’s petition, limiting itself to the question: Where a design patent is applied to only a component of a product, should an award of infringer’s profits be limited to those profits attributable to the component? The CCIA has said that the issue is of great concern to its member companies because if the interpretation of the Federal Circuit is affirmed, these companies could be faced with attacks using design patents by patent companies, pejoratively referred to as "patent trolls" because they make their money from licensing and suing companies over patent infringement, usually using purchased patents. The Federal Circuit's interpretation will likely raise prices and discourage new goods and services from coming to market, thus affecting consumers’ access to new technologies, wrote the Electronic Frontier Foundation and other groups in their "friends-of-the-court" brief. "It also opens the door to the economic inefficiencies of patent holdup and royalty stacking, which work to disincentivize future invention and productivity," according to a June 7 filing. Samsung is also considering an appeal to the Supreme Court of an order that reinstated damages of $119.6 million that would be payable to Apple for patent infringement in another lawsuit. The company said Saturday that it is reviewing the decision of the U.S. Court of Appeals for the Federal Circuit, and is “looking carefully at the possibility of Supreme Court review.” The opinion won in an 8-3 vote.